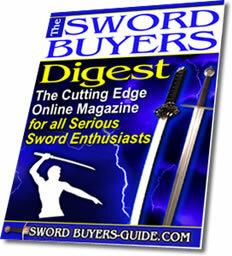 SBG: Hi Clyde, Welcome to Sword Buyers Guide, it's nice to have you here. For my first question, can you remember what it was that first stirred your interest in medieval swords? Clyde Hollis: Well I use to play Dungeons and Dragons in my High School years through to my early 20's. Then my interest moved from one of fantasy to historical aspects with the block buster movie Braveheart. From there I started looking into my ancestry and just got caught up in history. I have really been intrigued by Ewart Oakeshott and have worn out 2 of his books "Records of the Medieval Sword". SBG:Ok, so let's get down to it. Tell us a little bit more about when, how and why Generation 2 swords first came about? Clyde Hollis: OK, my first line (after we stopped selling the Del Tin Swords because they were taking too long and going up every year in price ) was the Vaciacraft line and yes they were "crowbars" being 5/16" thick. Then it has been a gradual (Continuous Improvement) process. One thing people have to remember our swords are forged the old fashioned way. 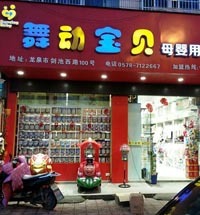 Our foundry does not have the technology of China and India nor as in the US. 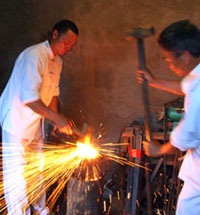 The Philippines and especially our foundry forge them by hand, and there is going to be variations in each blade. We use blacksmith charcoal for both forging and tempering and the only high tech items we have is a lathe for the cross guards and pommels, and grinding wheels. The hammer forges and high tech heat treat furnaces are just not available in the Philippines and would cost again just as much to have them shipped over. But, in the years that we have been Generation 2 we have come a long way especially in just this year with our new blade geometry and tempering process. 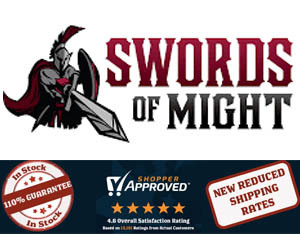 SBG:Generation 2 swords have a solid reputation as being extremely well assembled and durable. 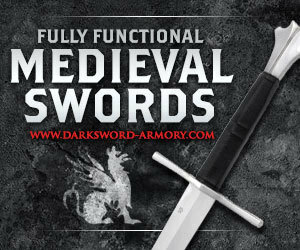 What is it that your forge does differently than all the other manufacturers of production swords in the sub US$300 price range? 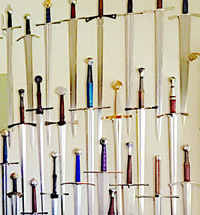 Clyde Hollis:We take our time to do each sword, dagger, ax or knife right. We have been known and wish to stay known as having the best fit and finish of any manufacturer. It is quality not quantity. 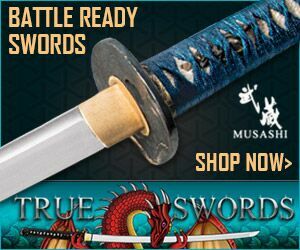 SBG: What is the most common question you are/have been asked about your swords? Clyde Hollis: It is: “How long have you been around?” And the answer is the Generation 2 line has been around since the mid 90's but we have been in a growing state ever since. People also ask why has it taken you so long to get noticed? I state "patience". I would rather take longer to get everything right than to rush into and get a bad reputation of going from quality to junk. As has happened to some of my competition. SBG: I was pretty excited to hear that the latest batch of Generation 2 swords have lightened the weight of the blades and increased the polish to remove those pesky but quite subtle 'grind marks' (indeed, these were my only real criticisms of Gen2 swords in my reviews!). Tell us more about these recent improvements and any other changes to the current line up? Clyde Hollis: Well I can't get into how it is done because that is a proprietary trade secret. But yes, we have changed our blade geometry to a lighter blade using the distal tapering method and we use the flat ground edge instead of the hollow ground edge as with most in the Philippines (to set us apart and for us to compete with the more well known producers). Our new tempering process has really moved us up as a force to be reckoned with just this year. 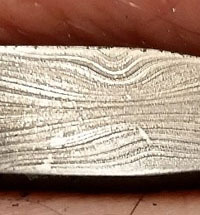 The blades are more flexible and yes the finish we are putting on them really sets us apart. Now, some might argue that the finish we put on the blades are not historically correct that may be but I am sure that the ceremonial swords did have that polish, and I am sure that many kings and officials swords were very polished as well. But how well were they taken care of after they were not in use? When they were passed down through the years they probably became a dulled finish. Some will like our finish and some will still complain. SBG: I realize that this may be an extremely tough question to answer, but of the various Generation 2 swords you have produced over the last few years - if you had to pick just one as your personal favorite, which one would it be any why? Clyde Hollis: Still the Irish Hand and a Half. When I traced my ancestry I found that I am of Irish decent. I have an Irish Kilt with my county plaid (Antrim). But I also love the newly designed Viking sword and 12th Century sword as well. 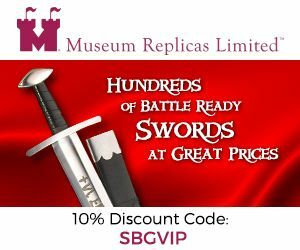 SBG: One thing that I've heard time and time again is how you stand behind your products and are always happy to help out someone who has bought a Gen2 sword, regardless of the who they bought it from. What kind of support do you offer to people who have bought a Generation 2 sword? Clyde Hollis: We stand behind it. This is what I tell people at the Renn Faires we attend. I explain what needs to be done to care for the sword, etc. Not storing it in the scabbard, keeping the blade lightly oiled, etc. And I hand them a card and tell them if you have any questions on how to care for your blade or if you get rust spots on it feel free to call us and we will walk you through it. 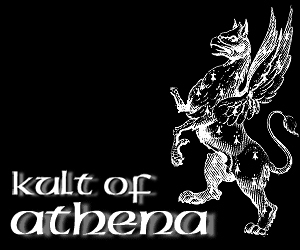 It is our name and reputation we are selling. You can't just sell it and do nothing. There has to be service after the sale. SBG: What's in store for the future at Generation 2? Clyde Hollis: Look for many new items all through out this year and into the next. There will be some items retire (Oh, which ones? Right now I can not say) and there will be new items that people have been waiting for. Let me just say some knives for one (that will be all that needs to be said there), another historical ax. More katanas, and maybe a Rapier. And yes it has been rumored: We will be also working with Last Legend in the Pro Sword line. 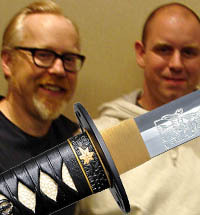 Generation 2 will be doing a collectable line from a well known sword historian. The first 3 sword plans are en-route to us. All these take time. Time to do them right.